McALLEN — The city is looking for an additional facility to temporarily house the increasing overflow of asylum-seeking immigrants who have been passing through the Catholic Charities-operated humanitarian respite center downtown. The center has seen more than 100 immigrants daily in recent weeks, sometimes around 200, according to officials dealing with surge. These increases have resulted in many asylum-seekers having to stay overnight, something the current respite center is not equipped for. The city has eyed various sites for the overflow, including the former public library on Main Street that now operates as a creative incubator for artists, which Mayor Jim Darling said has been ruled out. The respite center, currently near the corner of Bicentennial Boulevard and Beaumont Avenue, moved locations last fall from Sacred Heart Catholic Church. Sister Norma Pimentel, executive director of Catholic Charities of the Rio Grande Valley, has helmed the respite center since it began housing asylum-seekers at the church in 2014. Eli Fernandez helps families calmly board a bus at the Catholic Charities Humanitarian Respite Center on Monday, June 25, 2018 in McAllen. The families were being shuttle to a nearby church in Alamo to spend the night. 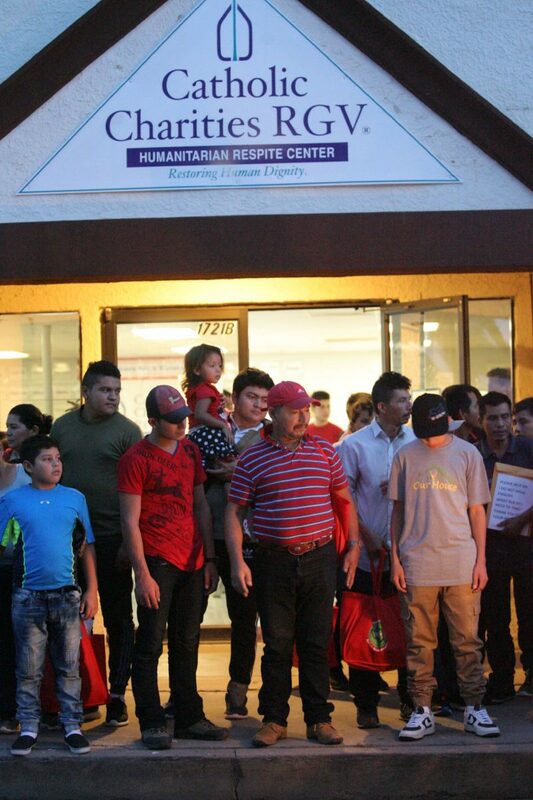 ***DO NOT CROP THE TOP OF PHOTO*** Central American families wait by the entrance of the Catholic Charities Humanitarian Respite Center before boarding a van to be shuttled to a near by church in Alamo to spend the night on Tuesday, June 26, 2018 in McAllen. A father and his son from Guatemala wait outside the Humanitarian Respite Center for a bus on Tuesday, June 26 2018 in McAllen. Families were taken to a nearby church in Alamo to spend the night. 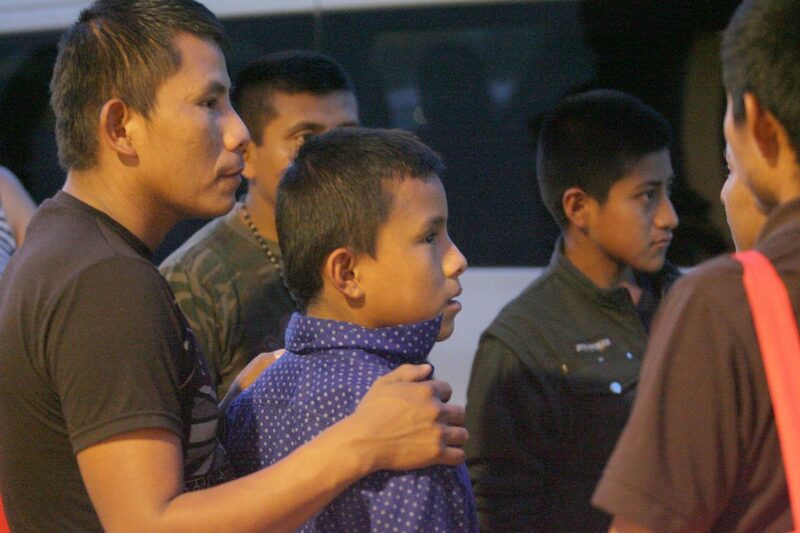 Once immigrants cross into the United States in the Valley and are apprehended by law enforcement, they are typically taken to the U.S. Border Patrol immigration processing center in McAllen. If the immigrants are seeking asylum and have a family member or sponsor living in the U.S., agents release them to the respite center. Workers at the respite center temporarily take them in — often not overnight — to feed, bathe and care for them until they usually board a bus at the McAllen bus station to join their family member or sponsor. The immigrants then await their date in immigration court, where an immigration judge will either grant or deny their asylum claim. Law enforcement officials also typically drop off the immigrants at the bus station later in the morning on weekdays. But recently, drop off times have sometimes lagged until the afternoon. 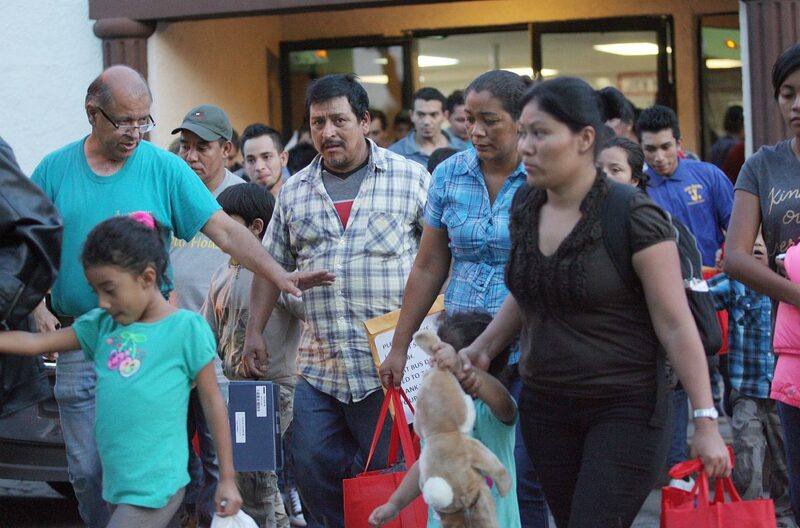 In the fall of 2017, as the number of asylum-seekers declined, Pimentel moved the center out of the church’s parish hall. Now, the smaller space a few blocks from the church can’t hold the increasing number of immigrants. 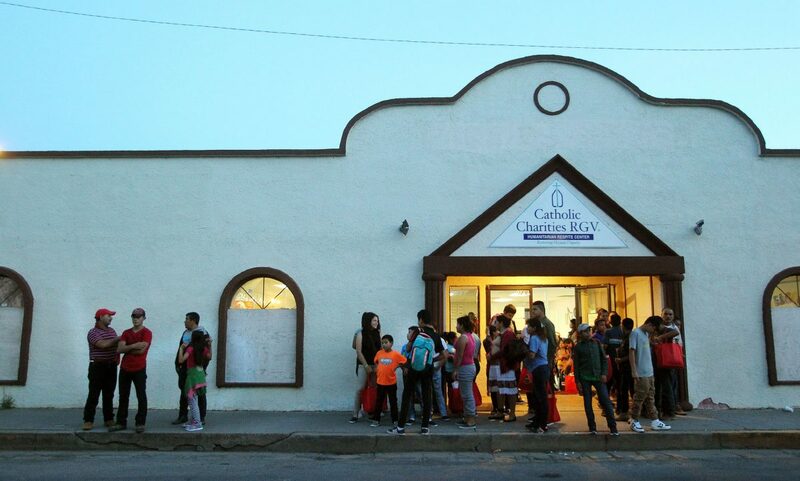 The respite center workers and bus companies aren’t able to process the immigrants and obtain bus tickets quick enough, resulting in many immigrants having to spend the night at a Catholic Charities’ facility in Alamo, Pimentel said. “I was up at 4 a.m. this morning to make sure people got to their bus on time,” she said. The Red Cross has also offered to help with the overflow, according to Kevin Pagan, who doubles as McAllen’s city attorney and emergency management coordinator. But the Red Cross doesn’t have a facility in McAllen. Pagan said they hope to help provide Pimentel building to temporarily house the asylum-seekers, but he declined to share specific sites.